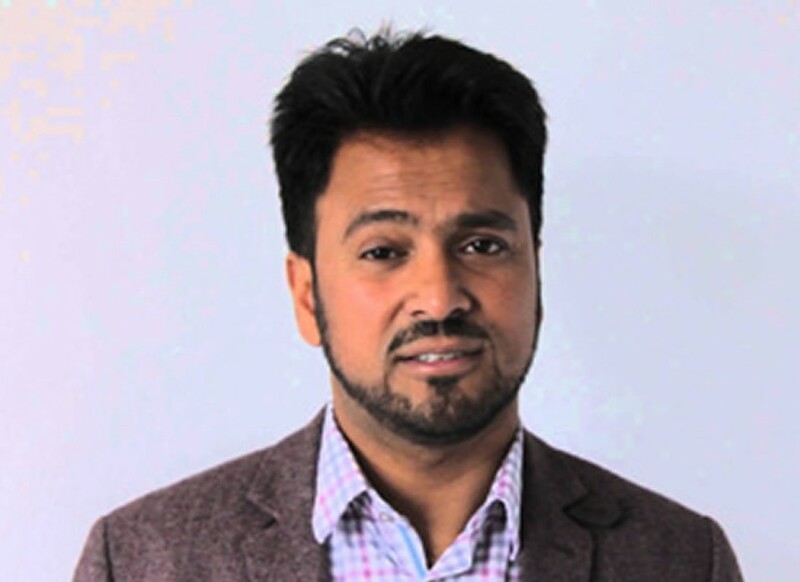 Ajmal Masroor, Imam, broadcaster and journalist, reflects on his visit to Srebrenica. “Travelling alone is one thing but traveling with a legend is something else. I arrived at Heathrow airport on a crisp morning in January to join Martin Bell, the BBC war correspondent, and several other faith leaders. We had been invited to travel to Bosnia as part of the Remembering Srebrenica delegation. 5. Use the international and domestic courts to bring to trial the perpetrators of the crime. We were given detailed accounts of how the Serbian Army had massacred over 8000 men and young boys in Srebrenica, and then buried them in mass graves. The international community failed the Bosnian Muslims abysmally, and the Dutch peacekeeping force stood by and watched the brutal killing of these innocent people. What was wrong them that they did not retaliate to protect innocent people? Satellite images that were taken by US spy planes were used to locate the mass graves. During the war, the US Secretary of State, Madeline Albright, challenged the Serbs with the evidence. The Serbian Army then used the cover of darkness during the night to exhumed the mass graves, and relocated the bodies in different places. This was their way of covering their tracks. One of the senior personnel from ICMP gave us an example of remains of a person that they gathered in their investigation from five different mass graves. The distance between the graves was up to 35 kilometers. In other words, not only was this person executed and buried in a mass grave of a thousand people, but he was also torn to shreds by diggers during the cover up. His leg was found in one mass grave, his skull in another; part of the backbone in one, while his ribs were found elsewhere. Can you comprehend such brutality? This was a human being, just like you and I. And yet, his end was so horrific. I could hardly bare hearing about it. I felt as if someone was hitting me hard in my stomach each time I heard another account. I was left wondering how we, as human beings, could commit such heinous crimes against one another. What was it that made these people such savages? Who was responsible for this massacre? One of the speakers told us that locating these mass graves took an enormous amount of time, despite the fact that some of the the local Serbian population know their whereabouts. However, they refuse to volunteer the information. The investigators from ICMP had to plea-bargain with the perpetrators so that they would be given some information about the locations of these mass graves. From the pictures of the locations of the mass graves that we were shown, they were largely located next to residential homes. Yet people who has lived in those houses stayed silent. The courts asked them if they had seen anything but they claimed to know nothing. I can’t help but feel like the Serbian people chose to engage in the anti-Muslim sentiment that was being championed by Slobodan Milosević. Either that, or they were deaf, dumb and blind. Whatever the case, Serbian crimes must be addressed to heal this nation. We were very lucky to have one of the international judges who sits on the panel of judges for these trials. During the question and answer session, she was very close to saying this genocide was allowed to take place in Europe and the UN and its European allies were responsible for it. They did not do enough to prevent it and when the Serbian Army threatened and separated the men and boys from their families, they stood there and watched instead of intervening. There is no moral justification for this stance and the scar of the genocide will forever haunt the international community. She said that the European Union should have opened the door for Bosnian Muslims to join the EU first, instead of accepting the application of Croatia, and now Serbia, to join the EU. It is like giving gifts to the perpetrators of the Srebrenica genocide. It is a shame that EU has neglected the Bosnian EU question. For as long as the EU politicians remain blinkered to this, the prospect of another Palestine in Europe is very possible. Amongst those missing in the war, the total number is thirty thousand people. Of these, 80% are Muslims, 12% orthodox and a much smaller percentage from other denominations. The Bosnian war has killed more than a hundred thousand people. Again, the vast majority of them were Muslims. The disproportionate killing of one group indicates that this was a premeditated and calculated ethnic cleansing that the Serb nationalists carried out, and their aim has always been to create a greater Serbia. We were told bodies were even thrown in the city dump yard. And for 17 years, people have been throwing rubbish on peoples bodies. The ICMP had 200,000 cubic meters of rubbish moved to excavate and discover the bodies of 100 murdered men. It seems these people have become desensitised to barbarity. In their eyes, you couldn’t even see hatred; they were simply indifferent. Such savagery has not been seen since Second World War. We left the centre feeling totally numb by what we witnessed and heard. Never have I heard so much brutality, and never have I seen so much pain. We had a reception at the UK Ambassador’s residence. He invited the Bosnian faith, community and business leaders to meet us and talk to us about our experience so far. It was clear from the meeting that most people have been seething inside about the lack of justice and compassion for the Bosnians, but nobody is showing enough courage to bring the Serb perpetrators to real justice. In fact, they are being given trophies by their entry to the EU next year. I spoke to ambassadors and diplomats of different countries, and their sentiment was no different to mine. But they were not sure if they could get their respective countries to accept this sad reality. Just a little hatred is enough to rouse the animal within some human beings to then orchestrate the most brutal massacre and genocide. Srebrenica is a case in example. These men were lined up and shot at from behind, while their fathers, brothers, relatives, neighbours and fellow Muslims were left in the buses in restraints to watch and wait their turn. All this bloodbath but for what reason? What did the Serbians truly gain? Our next appointment was at the Srebrenica Genocide Museum that had some of the most spectacular images of the genocide I had ever seen. We arrived at the building close to the city centre. The photographer, Tarik Samarah, had put together some of his best photographs and brought to life the dead of the Srebrenica massacre. We entred the space and the first thing I noticed was a wall of names. These were the names of those 8000 men and boys who were executed by the Serbian butchers. It was striking, vivid and immediately interned in my mind and heart. We watched a short video that had been put together, recounting the events of that fateful day when 8000 Bosnian Muslims were executed. There was footage of the savage Slobodan Milosević, urging his fellow Serbs to take revenge against the Muslims. It was sickening to hear him, and I felt so ashamed that we all failed to protect the Bosnian people.